The three fighters whom Arum recommended to Pacquiao were either a quadrilogy with Juan Manuel Marquez or a second clash with Miguel Angel Cotto or the least, a rematch with Timothy Bradley, in that order. Arum carefully laid out to Pacquiao the pros and cons in fighting the three fighters and they all settled down in the gates and pay per view (PPV) numbers generated by each fighter in their previous fights with Pacquiao. Both Marquez and Cotto had generated more than a million PPV compared to that of Bradley which generated only a dismal PPV of around 700,000. 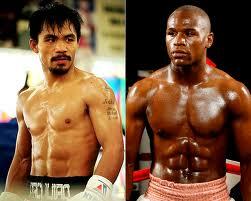 So, either of the two Latinos only revolve the choice of Pacquiao to be his supposedly next opponent in November. But in a surprise move by Pacquiao, he chooses to initially waive not to fight instead in November from either fighters recommended by Arum. The astute promoter was caught pants down when Pacquiao initially decided not to fight on the designated schedule, Arum never expected that for the first time he would ever be turned down by Pacquiao based on his business acumen and lucrative proposition which Pacquiao could benefit. Pacquiao reasoned out that he wanted to preserve his physical conditioning by not fighting in November to be ready in time with his clash with Mayweather Jr. by early next year. According to him it would take him sometime to recover if he got injured on who ever he ever fights in November. Every scheduled fight Arum proposes to Pacquiao, the former never get a second thought from the latter not to accept of what benefits him the most. Arum maintained that impression that what he does for Pacquiao is always for his own good and financial benefit. However, this time the unexpected happened, Pacquiao initially rejected Arum’s proposal and that the Filipino southpaw wanted to settle no more no less a megafight instead with Floyd Mayweather Jr. to be staged by early next year. Many people believe that Arum has been instrumental why the megafight between Pacquiao and Mayweather jr. did not happen up to this time because of Arum’s bad blood relationship to his former steward, Mayweather jr. himself and Golden Boy Promotions the new promoter of the undefeated champion. The move is seen to pressure Arum by Pacquiao to make the fight happen by early next year which has been derailed for several times. Contrary to Arum’s previous talks with Pacquiao where there and then he gets immediately the Pacquiao’s approval, this time around he left back to the US empty handed and must wait for a week time before Pacquiao would make known his decision. Whatever the decision by Pacquiao if he has to fight in November or not that would not change Pacquiao’s clear message to Arum that he has to start talking to the Mayweather camp or his intermediary to thresh out all avenues as much as possible for the megafight to happen early next year. With the ball now in Arum’s court there’s no reason why he would dilly dally not to oblige and honor on the wishes of Pacquiao, his prized cash cow to make the megafight happened. 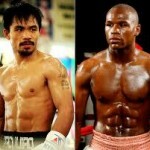 It is a fight every one want to see, it’s an ultimate payback for each fighter, which is the biggest in boxing history. It’s about legacy of their boxing careers that both fighters are fighting for, being the best offensive and best defensive fighters respectively in this era. Both protagonists skilled wise are even, when the smoke is going down either one of them could be declared the winner in the ring. For Pacquiao, win or lose it has to be determined before he hangs up his gloves for good.